Last week we covered a triple miles promotion that Accor is running with Flying Blue and Miles & More. An Avios version has now launched. This allows you to earn triple Avios on every stay. The stay period is generously long – up to 30th June. This promotion is running with both Iberia and British Airways Executive Club. You should sign up to the Iberia version! Why? For historical reasons which predate Avios, Accor has a very generous deal with Iberia Plus. Accor points convert at 1:1 into Iberia Plus Avios. They only convert at 2:1 into British Airways Avios. You will earn twice as many Avios by selecting Iberia rather than BA as your partner for this offer. WARNING: If you already have a pot of 3,000+ Accor points, they will be converted into Iberia Avios immediately. If you want to save your existing points for a hotel discount voucher then do NOT take part in this promotion. Book and stay before 30th June. Existing bookings made before 27th March do not count and should be rebooked. The ‘triple Avios’ is based on what you would earn as a ‘Classic’ base level member, ie 2.5 points per Euro. This means that you would earn 7.5 Avios in Iberia Plus per €1 spent which is a very attractive rate. Status members would earn even more. This deal could work out very nicely. Let’s imagine that you are spending £500 at a Novotel for a week. That would be €600 which would earn you 4,500 Avios in Iberia Plus. A status member would do even better. Everyone who earns bonus miles during this promotion will also be entered into a prize draw with the chance of winning 40,000 Avios. Is this promotion better than taking Accor points? You should be clear about what you are giving up when you take part. Accor points are worth 2 Eurocents each. You can convert them into €40 Accor vouchers whenever you reach 2,000. Under this Avios offer, you will be receiving 3 Avios instead of earning 1 Accor point. This means that you are buying Avios at 2/3rd of a Eurocent each, which I think is a very good deal. It is also worth remembering that €40 of Accor hotel voucher is not worth as much as €40 in cash. You also need a minimum of 2,000 Accor points before you can turn them into vouchers, whereas this Avios offer kicks in however few points you earn. Unless you are Avios-rich and would prefer to take the Accor vouchers, I would go with Iberia. Full details of the ‘Sweet Pillows World Tour’ offer can be found here. Registration is not required. Sounds great! I had a look a while ago and it didn’t look like Accor does status matching? Unfortunately not included with Amex plat anymore. I did it in February without any issue. I tried it Jan with my wife and it didn’t work. Highly recommended, given a high floorroom with great view of Thames and Shard, welcome chocolate and (platinum)free drinks voucher for use in the rooftop bar. We ended up getting some free snacks up there too! Rooftop bar was very busy and lots of tables reserved so if you are planning on staying make sure you reserve a table. Was the only one in the pool the next morning, nice size, and gym was well equipped. I will get round to posting a TripAdvisor review with pics this week. Re Breakfast- we were told we had free breakfast in the restaurant when we checked in- which I didn’t think you got on happy Mondays rates? but we ended up going to the Accor lounge on level 1 for a continental breakfast instead. If it comes up on happy mondays again I would snap it up. I’ve heard decent things about this place too. What’s going on with Happy Mondays? Have struggled to find availably at my usual London Novotels the last few weeks (managed to grab the new Canary Wharf a few weeks ago and agree with @Louise’s comments. Offered breakfast too) but today there is NO availability for this weekend in London at all. Not even an Ibis! In the past they have run special promos over Bank Holiday weekends. It is possible that some special, more broadly publicised, deal for Easter will emerge in the next few days. Have tried for next weekend too. Nothing – country wide. Same here. I managed to get he Hilton Olympia for £89 instead so not too bad, plus executive lounge and free breakfast helps offset the additional £29. OT, sorry. Re the 3000 bonus Heathrow rewards points for spending £150; the website says you need to use a code to get the bonus. However it doesn’t seem to say at what stage – do I need to quote the code at the top me of the spend, or when I convert the points to avios? Sorry, auto correct! Should say at the time of the spend. It was when you applied for the Heathrow Rewards card – then when you do the £150 spend the bonus will trigger. Thanks, got a trip via Heathrow on the bank holiday weekend so planning to stock up. You use the code when you apply for the Heathrow Rewards account. It should automatically appear in the promo code box when you click through to the application page. I have about 1600 Accor points that will expire this year as I don’t think I will be staying ion any of their hotels. Is there anything I can do with them or will I have to just lose them? Is there still an e-Rewards link on the LeClub Accor site? If so, you could sign up to the Accor version of e-Rewards. I got 250 Accor points for the first complete survey, and once you get the first 2000 e-Rewards points, that is another 275 Accor points. I do not know how crediting Accor points from e-Rewards works for extending validity of existing points, but it used to work in the past. If it does, then you only need to do the one complete survey and get the initial 250 points. 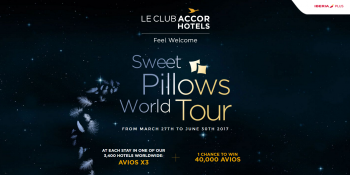 If you don’t have an erewards invite from LeClub Accor directly you can join via Virgin and that gives you access to transferring into LeClub Accor, Club Carlson, Hilton, IHG plus several other options. I already have an erewards account via Virgin for Virgin Miles. Would that preclude me from doing an Accor one? On another point, I believe to extend Accor points you MUST stay at one of their hotels, so I would need to get all my required Accor points via the erewards site (if I can open another one) to reach the minimum number of Accor points to get anything for them. I don’t use Accor so can’t help you on the rules for keeping the account alive – Aron did an article awhile ago about how keep your points alive. If you go to the reward centre in rewards you can see all the partners you can transfer to – you don’t always have to redeem to just Virgin – so you can top up your Accor account that way. Officially, yes, you are only supposed to have one e-rewards account. In practice, you can always sign up for another one without any significant hassle. About 18 months ago, when I had three accounts, I found that I stopped being able to get any points, complained, and was told that I had duplicate accounts. I had to close one to get things moving again. I currently have two, and no major problems, though over the last few months I have signed up for, got the opening bonus and then closed, ones from both BAEC and Avios.com. These are of limited interest, given that you can only transfer to BAEC / Avios.com as appropriate. The ones I keep, opened via Accor and Hilton, only allow those hotel schemes, but also permit credit to lots of airline schemes, including Iberia which yields up to 50% more avios than BAEC / Avios.com. As to extending validity, as I mentioned above, it certainly worked up to the end of last year, but I have no experience from 2017 yet. How do you link e-rewards to Hilton Honors? I probably have enough Avios to tide me over for now, but wouldn’t mind building up a bigger HH balance. It depends how you registered with erewards – different partners offer different ways to redeem your points. If you signed up via Avios or BAEC you can only redeem via them. If you sign up via Virgin they given you lots of other partners to redeem your points to including IHG and Hilton. You can also sign up via American Airlines and redeem via IHG and Hilton. I have 4 accounts for different family members. Two I signed up via Virgin, one with AA and my own one I got through invitation from IHG which lets me redeem to AA, IHG, Hilton, Avios, Iberia and several more partners. I change up who I redeem to – I was doing HH for a bit but have switched to VIrgin so that I can redeem 10k to IHG to get qualifying pts for Spire – now that IHG ereward pts are no longer qualifying if you transfer them direct. E-rewards points did extend the validity of existing points last year on my brother’s account. However, I am not sure if it still the case. Anyone know of hotel chains that don’t block out Easter dates? Looking at Hilton in Orlando they are all blocked out for next year already. ihg rewards doesn’t have blackout dates, for example 31/12/2017 is available on reward nights. however, it seems that u can book only 350 days in advance. this might or might not be the hilton issue. Not been to Orlando ones, but I know they use to do v cheap rates + bonus points via the HGVC , just have to put up with a minor sales pitch that you can ignore for an hour or so. Maybe phone Honors or Hilton Customer Services to ask about them? Thanks. I’ve just come back from Hilton Tuscany Village. Nice resort and would go back. Wanted to to get a referral for the Amex Preferred Rewards Gold card? Sent an email not sure if you saw it? I have checked Happy Monday rates for London, Birmingham, Sheffield and Bristol this morning and nothing came up. Has Accor terminated the Happy Monday offer? As I posted above – I can find noting today at all. Central reservations say “rate is sold out” which I fail to believe. Weird. Maybe they are planning something big for Easter? I remember last year Happy Monday Easter offer included breakfast. Could well be they have decided to pull it for the two school Easter Holiday weekends. With this weather, and all the kids off school they might have no need to run it. Yes, Rob had put a warning in the article, under the heading “Warning”. There is a way round this actually. Make a flexible booking using your points for sometime in the future before you change your earning preference to miles. That moves the points out of your account. Once you’ve finished your stays under the promotion change your earning preference back to points and cancel the flexible booking. Points returned. I am 30TP short to reach BA GOLD, i have missed my club BA flight from OSL to LON, doing QR OSL to BKK and hence 40TP lost/short. You can try – but you are supposed to actually “fly” and most schemes don’t accept if you haven’t taken the flight; but politely trying isn’t going to cost you anything more than the time of a phone call. Rob has noted that domestic flights for Club Europe are now going to earn 40 Tier Points – so you may find a “cheap” flight LHR to MAN or NCL etc that would give you the 40 Tier points you need in Club Europe. Good luck. If you didn’t fly due to a BA issue then you can apply for original routing credit (this happened to me when the JFK-LCY plane went tech, I flew JFK-LHR but still received the higher TPs that used to be available on the LCY route when I requested them). You can also normally get a two week grace period from BA where earnings in your new year count towards your old one. I’d call BAEC to confirm they will offer you this then make sure you fly by the end of that extended period. Thank you both. I’d did not fly BA OSL- LHR due to Qatar flight was delayed about 5,5 hours in Doha due to torrential rain, so not BA fault at all. I’m really counting on that 2 week grace period, I have LAN club flight highlighted by Rob from Madrid to Frankfurt bagged it for £150 on AmEx £50 rebate on £200 spend. Have you tried Finnair website? Sometimes more functional for adding FF numbers than some other sites. O/T Just had an email saying that Virgin Atlantic is following the BA route of peak and off-peak redemptions. They did that a few months ago – not sure why they are telling people now! Off topic, can I pls check with those more knowledgeable that my churning strategy is right. I originally had BAPP, earned 2-4-1, referred my wife, cancelled my card, took out Amex gold, earned original spend bonus. My wife just got her 2-4-1 as well. Am I right thinking that I should now upgrade from Amex Gold to Amex Platinum after referring my wife to Amex Gold and cancelling her BAPP. Any comments appreciated. Upgrade to plat then refer your wife for plat = 20+1+18+35+2= 76? But at more cost. Thanks Genghis. If I get the Amex Platinum, and give my wife a supplementary card, do we both qualify for the Hilton Gold card status. If she’s making stays without me, does she earn gold status through being a gold member? Yes, you both get a free Gold. Also add 5K for applying for sup card. I replied to their email asking why they are penalising me for having children. It’s been logged into their CS database with a ticket number. Awaiting the humoured response. I would just add, the auto-convert to Iberia will kick in for amounts under 3k (don’t know the threshold sorry). It just converted around 2500 when I turned it on. O/T just got the upgrade to amex plat, how do you activate the hotel status? i.e. hilton gold? both for me and supp card holder? Benefits tab of Amex acct? thanks! will have a look, must have missed it!